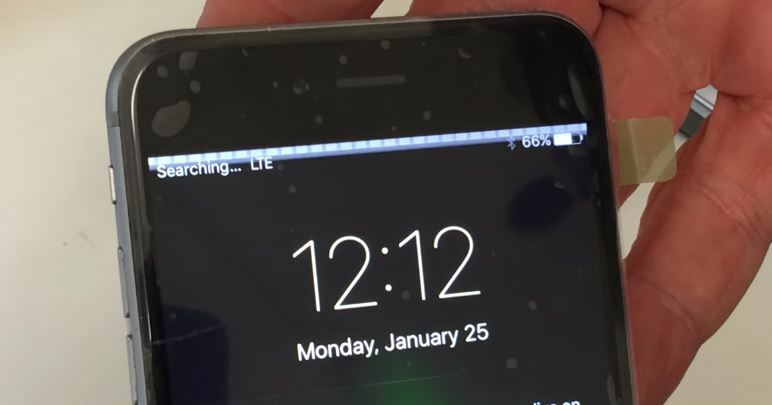 If your iPhone’s screen has any problem as it is flickering, you come at good place because in this article, we’ll know about why is iPhone screen has started flickering at once. So your iPhone have screen problem, do not worry there are many solution for screen problem of iPhone. Sometimes it happened because of software glitch and sometimes it happened because of hardware as loose connection within display circuit or defective screen. So as you saw there may be many causes behind screen problem. I have mentioned some symptoms of screen flickering to make sure you’r facing screen problem not any other. In this problem iPhone screen keeps flickering when you are flickering between apps or 3D touch. This problem also take place when you try to search app with Spotlight. Note: If you have bought your iPhone within 30 days, you replace with new one. As I mentioned in first symptoms, It is a hardware problem which called touch disease in iPhone 6 & 6 Plus. There is a logic board in inner part of iPhone. This logic board is a home for many circuit that make sure iPhone is working properly. Many circuits are connected with this circuit as processor, Storage and touch controllers. Apple has launched a multiple repair program by which you can solve this touch disease in iPhone 6. It can repair screen or affected device only in 149$. To repair your device you have to contact to Apple care or Apple authorized service provider. So contact with apple care and tell them about your problem, they will surely help you. Now if your screen has second symptom disease, you have to move second, third, fourth, or fifth method to solve your screen problem. If your iPhone has not first type screen disease, it has a software issue which can be solved by following method. Let’s try and and solve your problem. To Close your All Open all just follow the following steps. 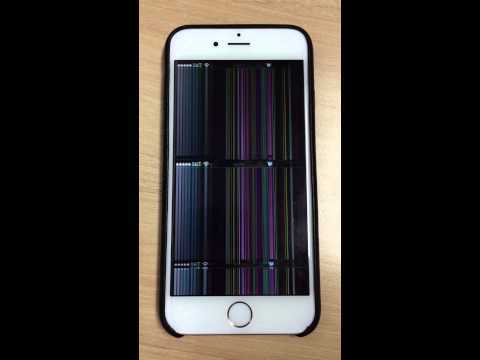 Sometimes, It is very easy to stop screen flickering problem because when your screen has enough load on it, it started flickering which can play main roll and increase your mobile/ iPhone problem. So we have to close your all app. Double Click on the home button. All open app will be appear on the screen. Now close the app which you want to close. Now you have closed app background running app in your mobile or iPhone. You can hard reset or reboot your iPhone by yourself. To hard reset or Reboot your iPhone, just follow the following step. Press power button and home button together for 10 second. After 10 second, leave power button but do not leave home button until Apple logo appear on the screen. Now your iPhone has started booting up. If you screen has not stopped flickering, just move on to another method which has given below. Instead of rebooting your iPhone, you can also fix your iPhone problem by turning brightness down. To turn brightness down, just follow the following steps. Now tap on brightness and set it lowest possible brightness. Now keep it for some time. After passing 10 minute, just click on brightness and set it again wherever you want to set it. Now you will see screen is not flickering at all. So try this method and stop your iPhone flickering Problem. The reduce transparency on can reduce workload of iPhone. So if you turn it on, may be your screen flickering will be stopped and start working as good as before.To turn on reduce transparency on just follow the following step. Now turn on reduce transparency on. After your iPhone should work properly. If you still facing any problem and there is any problem remain in your iPhone screen, just comment below and let us know about your problem. We will solve or try to solve your problem. Thanks. This entry was posted in Best iPhone Tips and tagged flickering screen and unresponsive screen in iPhone fix, iPhone 5 screen double image, iPhone 5 screen flickering lines, iPhone 6 screen flickering problem, iPhone 7 screen flickering problem, iPhone screen flickering after drop, iPhone screen flickering and unresponsive, iPhone screen flickering lines, iPhone screen flickering problem after repairing, iPhone screen flickering round edge, iPhone screen shaking fix, iPhone screen shaking when scrolling on October 23, 2017 by Shubham Pandey.